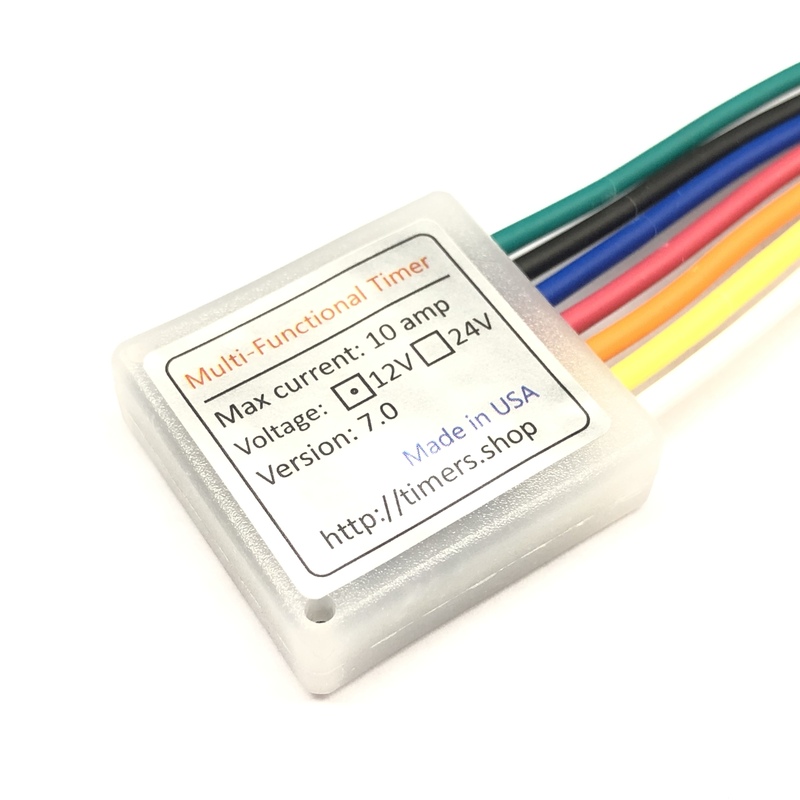 Multi-functional Timer delay module is a revolutionary circuit with many commonly used timer delay functions. 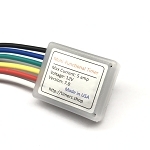 It is perfect for many applications from hobby to industrial controls. We added a number of useful time functions to the timer to make sure it has wide range of functionality to meet your project requirements. The timer has optional trigger control with either high or low signal, 29+ timer functions, reverse output and two different methods of configuring duration times. It can handle up to 10 amp continues current which makes is applicable to a wide variety of low voltage applications. 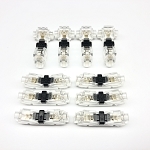 Built-in flyback diode allows inductive loads to be directly connected to the output. Delay power to the device like an amplifier for a couple seconds. Supply output power for the precise amount of time after power is applied. Keep the vehicle fan or GPS running for a period of time after the ignition is turned off. Turn the sump pump for 30 sec every 10 min. I have a classic Fiat Spider with a carburetor that goes dry since I drive it only on sunny days. Set this little timer up to run the fuel pump for 5 seconds when the key is turned to on. This gets the system all primed so I don’t have to crank and crank the motor waiting for fuel to get to the carb. The programing switch module is a great add on and made things simple. Actually programmed on the work bench with a 9V battery and a light bulb before installing in the car. I have to say I searched for quite a while before I found this handy little package. I have purchased 7 of these through our purchasing department and they performed so well I ordered 20 more. Easy to program, full of functions and very well designed. All in all, best bang for your buck! !